We proudly opened our doors for business in 1987 in response to a need for a company that would provide quality printing, on time at affordable rates. Since then, we have stayed in business in a competitive market by continuing to follow those principles. 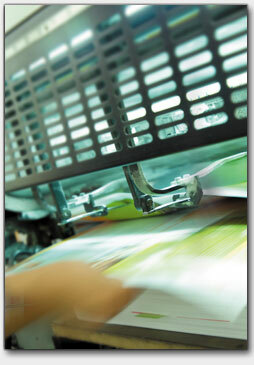 We go even further…any company can give you a printed product. Do they stand behind it 100%? Are they there for you whenever you need them, for whatever reason? We are. It’s the level of service, commitment and attention we give to our clients that sets us apart from the rest. Our focus is on building long-lasting client-oriented relationships. We work hard to earn your trust and respect. It’s how we did business yesterday, how we do business today, and how we’ll do it tomorrow. Despite some common misconceptions, paper production is both energy efficient and environmentally responsible. Trees, which are the primary raw material for making paper, are a renewable resource. Find out more about the benefits of printed paper products by clicking on the "eco-friendly printer" icon in the lower right corner of this page.